Aristotle claimed that mathematics has no ethos (Metaphysics, Book III, Chap. 2, 996a). 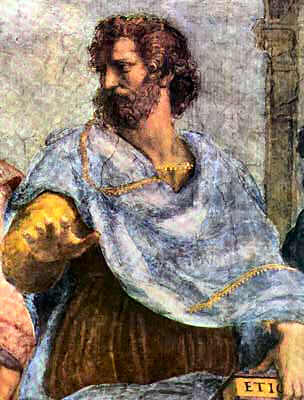 Aristotle, of course, was more interested in the empirical sciences than his master Plato, whose Academy presumed and demanded familiarity with geometry — and we must understand that for the ancients, long before the emergence of analytical geometry in the work of Descartes (allowing us to formulate geometry algebraically, hence arithmetically), that geometry was always axiomatic thought, rigorously conceived in terms of demonstration. For the Greeks, this was the model and exemplar of all rigorous thought, and for Aristotle this was a mode of thought that lacked an ethos. In this, I think, Aristotle was wrong, and I think that Plato would have agree on this point. But the intuition behind Aristotle’s denial of a mathematical ethos is, I think, a common one. And indeed it has even become a rhetorical trope to appeal to rigorous mathematics as an objective standard free from axiological accretions. 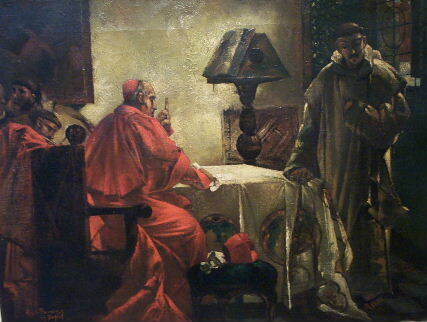 In his famous story within a story about the Grand Inquisitor, Dostoyevsky has the Grand Inquisitor explain how “miracles, mystery, and authority” are used to addle the wits of others. Our human, all-too-human faculties conspire to confuse us, to addle our wits, when we begin talking about morality, so that the purity and rigor of mathematical and logical thought seem to be called into question if we acknowledge that there is an ethos of formal thought. We easily confuse ourselves with religious, mystical, and ethical ideas, and since the great monument of mathematical thought has been mostly free of this particular species of confusion, to deny an ethos of formal thought can be understood as a strategy to protect and defend of the honor of mathematics and logic by preserving it from the morass that envelops most human attempts to think clearly, however heroically undertaken. 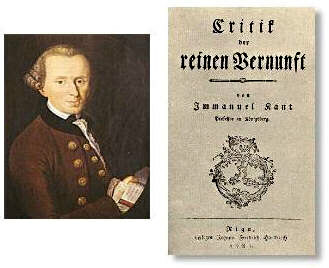 Kant famously said that he had to limit knowledge to make room for faith. 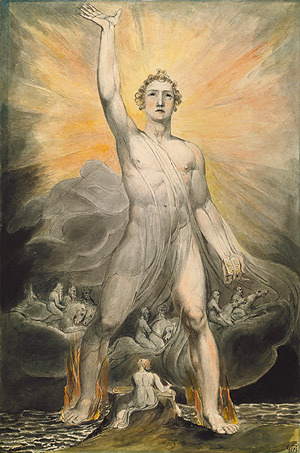 Western asceticism can be portrayed as demonic torment or as divine illumination; the same diversity of interpretation can be given to ascetic forms of reason. Though here again, with intuitionism (and various species of constructivism generally), we have rigor, denial, asceticism — intuitionistic logic is no joyful wisdom. (An ethos of formal thought need not be an inspiring and edifying ethos.) 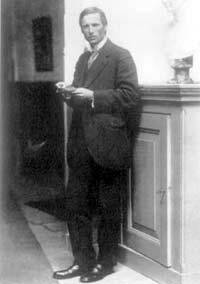 It is logic with a frown, disapproving, censorious — a bitter medicine justified only because it offers hope of curing the disease of contradiction, contracted when mathematics was shown to be reducible to set theory, and the latter shown to be infected with paradox (as if the infinite hubris of set theory were not alone enough for its condemnation). Is the intuitionist’s hope justified? In so far as it is hope — i.e., hope and not proof, the expectation that things will go better for the intuitionistic program than for logicism — it is not justified. The hope that contradiction will not arise from intuitionistic methods clearly is no such evident justification. As a matter of fact, empirically and historically verifiable, we know that intuitionism has resulted in no contradictions, but this could change tomorrow. Intuitionism stands in need of a consistency proof even more than formalism. There is, in its approach, a faith invested in the assumption that infinite totalities caused the paradoxes, and once we have disallowed reference to them all will go well. This is a perfectly reasonable assumption, but one, in so far as it is an article of faith, which is at variance with the aims and methods of intuitionism. And what is a feasible proof, which our ultra-intuitionist would allow? Have we not with “feasible proof” abandoned proof altogether in favor of probability? Again, we will allow them their inconsistencies and meet them on their own ground. But we shall note that the critics of the logicist paradigm fix their gaze only upon consistency, and in so doing reveal again their stingy, miserly conception of the whole enterprise. The aim of this program is to banish faith from the foundations of mathematics, faith being defined as any violation of the law of sufficient reason (for sentences). This law is defined as the identification (by definition) of truth with the result of a (present or feasible) proof, in spite of the traditional incompleteness theorem, which deals only with a very narrow kinds [sic] of proofs (which I call ‘formal proofs’). I define proof as any fair way of making a sentence incontestable. Of course this explication is related to ethics — the notion fair means ‘free from any coercion or fraud’ — and to the theory of disputes, indicating the cases in which a sentence is to be considered as incontestable. Of course the methods of traditional mathematical logic are not sufficient for this program: and I have to enlarge the domain of means explicitly studied in logic. I shall work in a domain wherein are to be found only special notions of proof satisfying the mentioned explication. In this domain I shall allow as a means of proof only the strict following of definitions and other rules or principles of using signs. 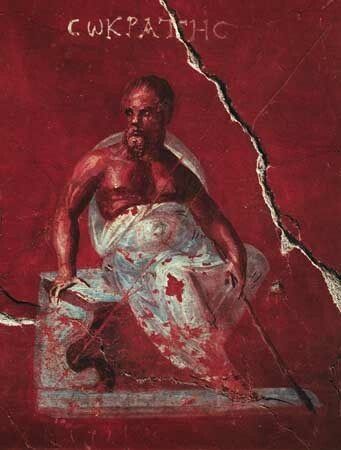 According to Gregory Vlastos, Socrates used the kind of 'coercive' argumentation that the intuitionists abhor. What appeal to logic does not invoke logical compulsion? Is logical compulsion unique to non-constructive mathematical thought? Is there not an element of logical compulsion present also in constructivism? Might it not indeed be the more coercive form of compulsion that is recognized alike by constructivists and non-constructivists? The breadth of the conception outlined by Yessenin-Volpin is impressive, but the essay goes on to stipulate the harshest measures of finitude and constructivism. One can imagine these Goldwaterite logicians proclaiming: “Extremism in the defense of intuition is no vice, and moderation in the pursuit of constructivist rigor is no virtue.” Brouwer, the spiritual father of intuitionism, even appeals to the Law-and-Order mentality, saying that a criminal who has not been caught is still a criminal. Logic and mathematics, it seems, must be brought into line. They verge on criminality, deviancy, perversion. Quine was no intuitionist by a long shot, but as a logician he brought a quasi-disciplinary attitude to reason and adopted a tone of disapproval not unlike Brouwer. 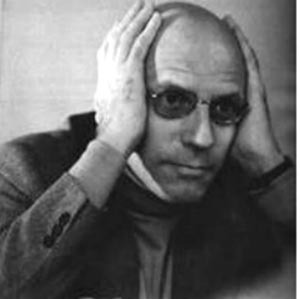 Foucault had little patience for the kind of philosophical reason that seemed to be asking if our papers are in order, a function he thought best left to the police. The philosophical legacy of intuitionism has been profound yet mixed; its influence has been deeply ambiguous. (Far from the intuitive certainty, immediacy, clarity, and evident justification that it would like to propagate.) There is in inuitionism much in harmony with contemporary philosophy of mathematics and its emphasis on practices, the demand for finite constructivity, its anti-philosophical tenor, its opposition to platonism. 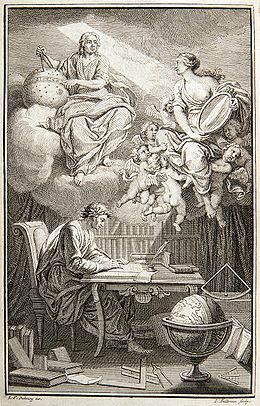 The Father of Intuitionism, Brouwer, was, like many philosophers, anti-philosophical even while propounding a philosophy. No doubt his quasi-Kantianism put his conscience at rest in the Kantian tradition of decrying metaphysics while practicing it, and his mysticism gave a comforting halo (which softens and obscures the hard edges of intuitionist rigor in proof theory) to mathematics which some have found in the excesses of platonism. 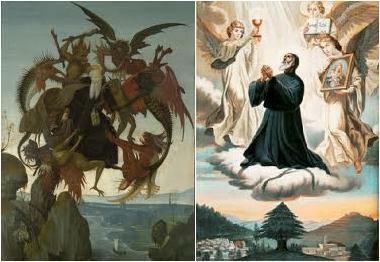 In any case, few followers of Brouwer followed him in his Kantianism and mysticism. 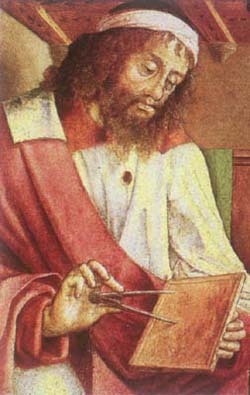 The constructivist tradition which grew from intuitionism has proved to be philosophically rich, begetting a variety of constructive techniques and as many justifications for them. Even if few mathematicians actually do intuitionistic mathematics, controversies over the significance of constructivism have a great deal of currency in philosophy. 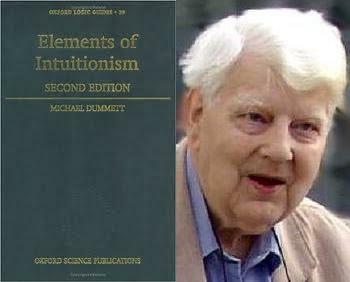 And Dummett is explicit about the place of philosophy in intuitionistic logic and mathematics. The light of reason serves as an inspiration to us as it shines down from above, and it remains an inspiration even when we are not equal to all that it might ideally demand of us. Intuitionism and constructivism command our respect in the same way that Euclidean geometry commanded the respect of the ancients: we might not demand that all reasoning conform to this model, but it is valuable to know that rigorous standards can be formulated, as an ideal to which we might aspire if nothing else. And and ideal of reason is itself an ethos of reason, a norm to which formal thought aspires, and which it hopes to approximate even if it cannot always live up the the most exacting standard that it can recognize for itself.